Support your direct mail advertising with the power of digital marketing solutions. Valpak of Southern Utah can create, optimize and maintain a responsive website or business profile page on valpak.com to increase your online exposure. As a Google Premier Partner, we can also help you make the most of search engine marketing and organic optimization. When you want to know what’s working and what needs improvement, you can rely on Valpak’s performance dashboard and call tracking tools for easy, up-to-the-minute activity results, empowering you to modify your campaigns for increased consumer engagement and greater ROI. Valpak works with all types of businesses, including automotive, home improvement, entertainment, travel, restaurants and retail shops. Call now and get to know your local Valpak team. Let Valpak of Southern Utah open the door to stronger brand awareness at home and online in Saint George, Cedar City, Washington, Hurricane, Ivins, Santa Clara, Newcastle and Kanarraville. For specific dates and coverage, contact your Valpak of Southern Utah representative. 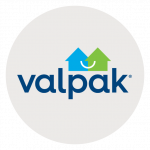 Valpak of Southern Utah is an independently owned Valpak franchise.